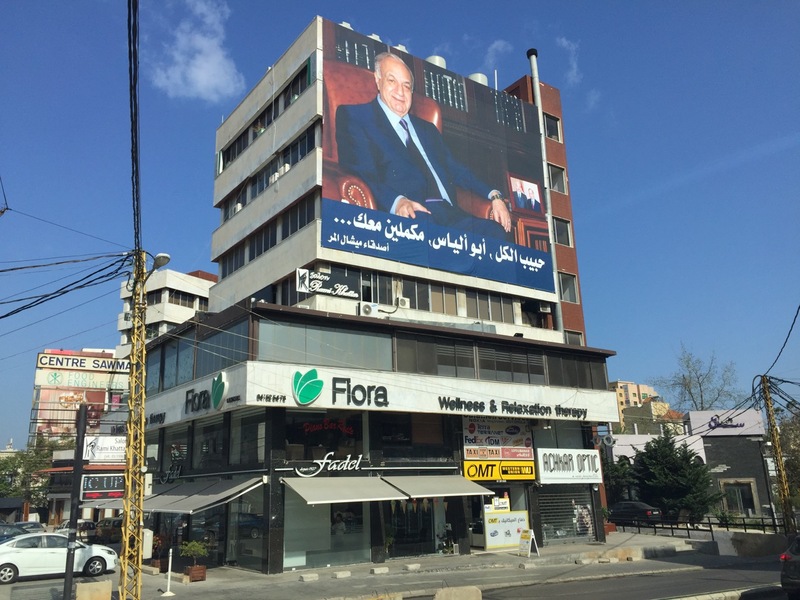 In a space of a few hours, one can witness two radically different visions for Beirut’s future. 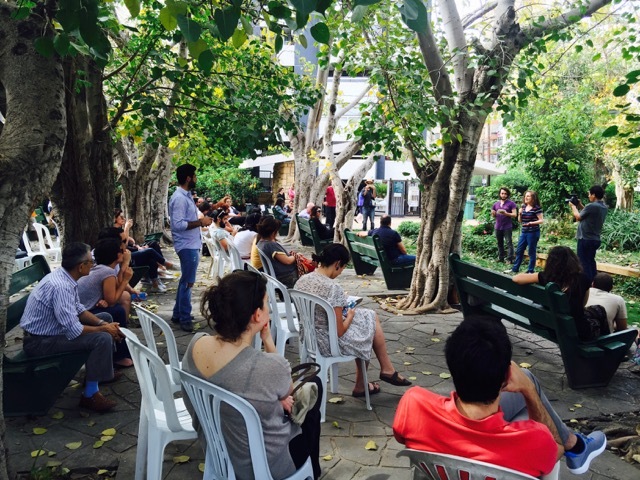 On a recent afternoon, under the shade of ficus trees, a town hall meeting was held by Beirut Madinati, the new political collective comprised of activists and urban professionals running in the city’s municipal elections. 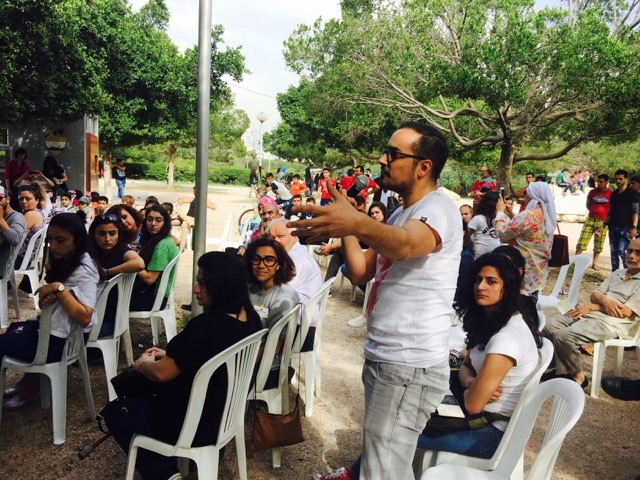 The group is campaigning on an issue-based platform that seeks to look beyond traditional clientalist and militia-style Lebanese politics. As such, they have organized a series of these town halls in city parks and public spaces dubbed Masahat Niqash (spaces for discussion) to get feedback from citizens-which is rarely if ever done by mainstream parties, who often rule by cults of personality built around feudal strongmen. Dozens of citizens spoke up. Each was given a two minute intervention. They raised their hands and waited for their turn. The atmosphere was passionate yet orderly. 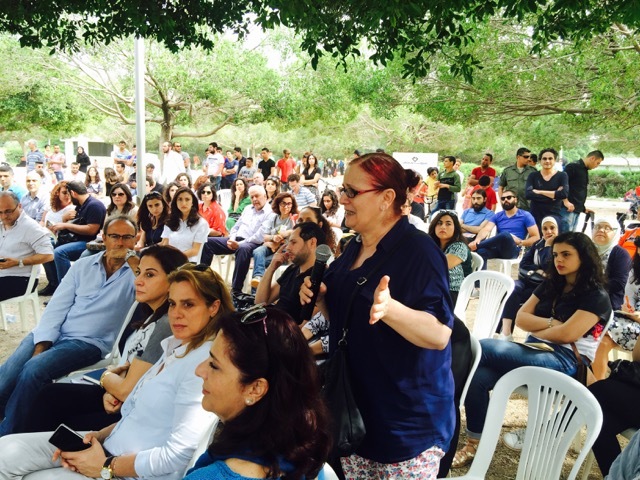 Citizens produced a range of detailed ideas and questions related to the problems of water distribution, traffic, pollution, lack of maintenance of streets, sewers and sidewalks, municipal taxes and accountability. 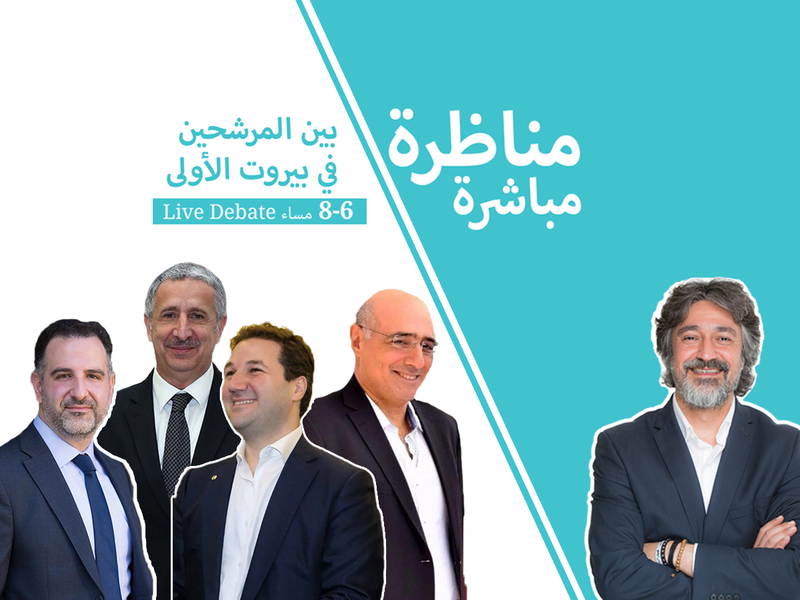 The questions and suggestions were written down and Beirut Madinati candidates responded with answers and proposals. 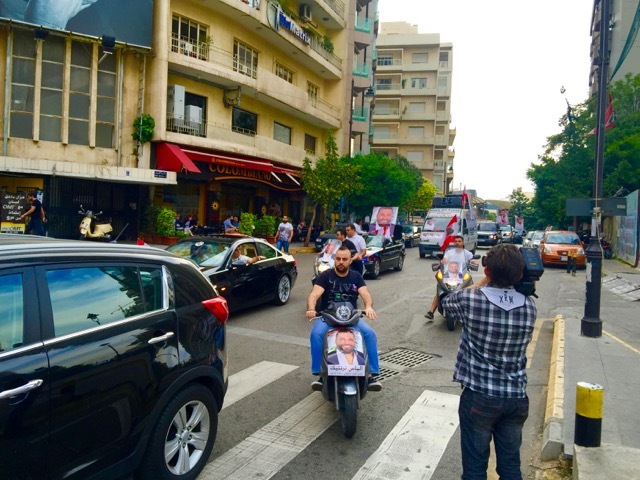 About an hour later, I was walking through Sassine Square, feeling slightly more optimistic about Beirut’s political future, when I heard loud music and honking in the distance. 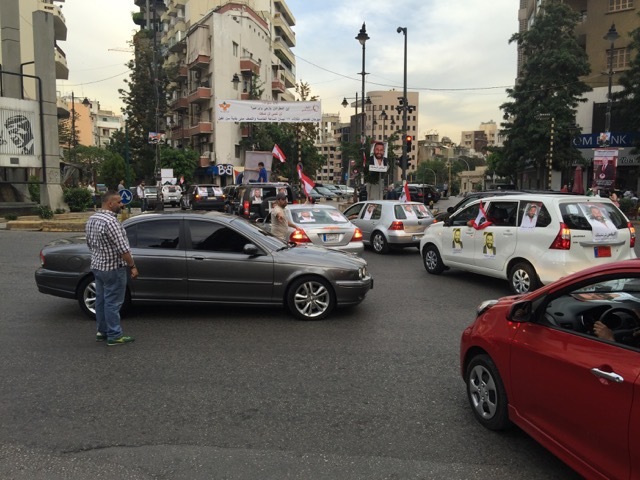 Soon the cacophony grew louder and suddenly a convoy of cars approached the intersection. 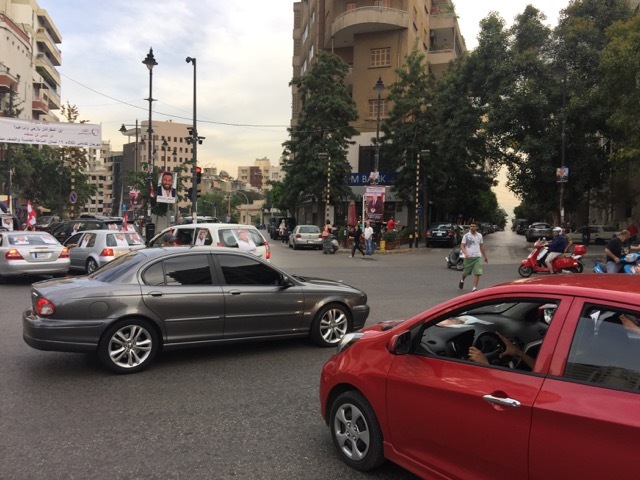 The scooter men drove toward the center of the intersection—one of the busiest in Beirut– and began blocking cars from crossing. They held up traffic for several minutes as the entire convoy of some 50 vehicles blaring horns and sirens passed through a red light. 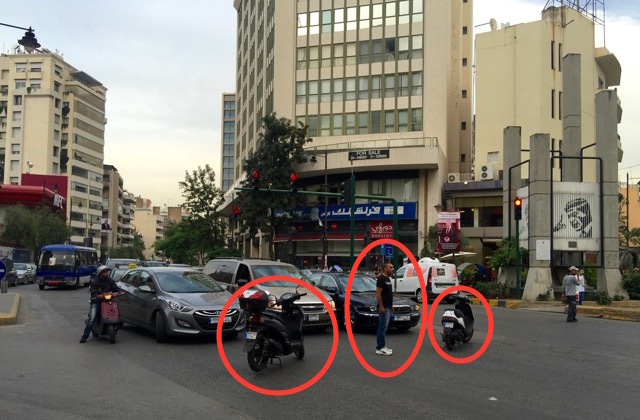 Not only did the campaigners break multiple traffic and public order laws by seizing an entire intersection in broad daylight, using illegal tints, police sirens and running red lights– they also seemed to create their own laws. This included allowing a fellow tinted-window “important” Jaguar to pass through the convoy. 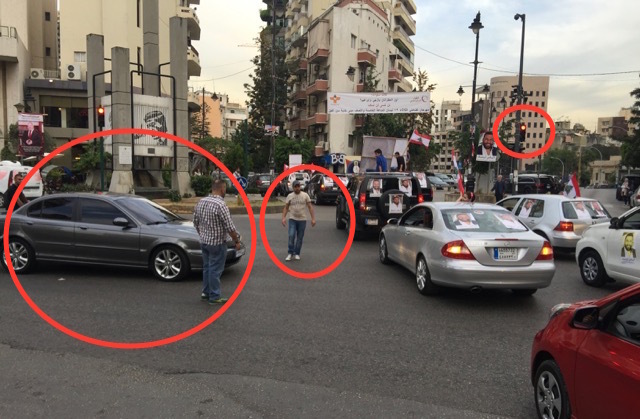 Clearly this car could break the rules, even the fake rules, perhaps due to his Wasta, i.e political connections. At one point, some people began honking their horns–one man got out of his car and shouting erupted. Lawlessness had broken down to violence. But within a few moments the convoy cleared and the scooter men dispersed. The police were nowhere to be found. 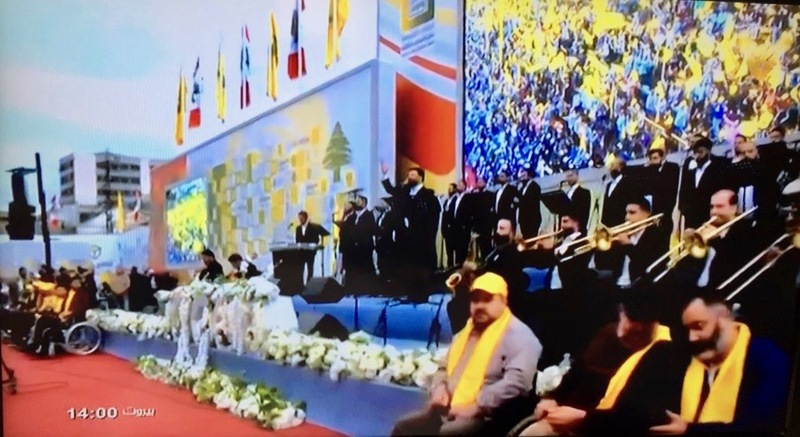 Although it only lasted a few minutes, the scene can be read as a microcosm of how politics is often practiced in Lebanon. The powerful rule through force, they flout the laws when it is convenient to self-interest, while allowing exceptions to allies. This often leads to clashes between citizens because the police have abdicated their posts or lack any sort of power to confront feudal or militia strongmen. Thus the powerful act with impunity. 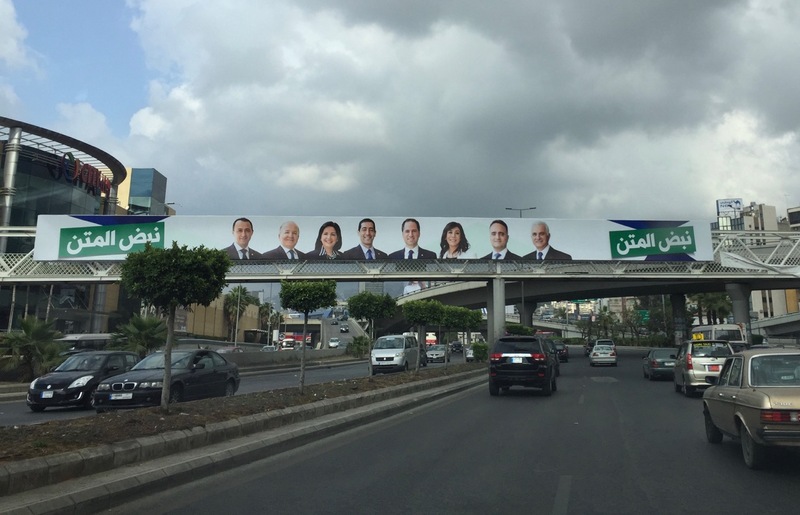 Lastly, the candidate appropriates public property with his posters attached to street lamps around Sassine. 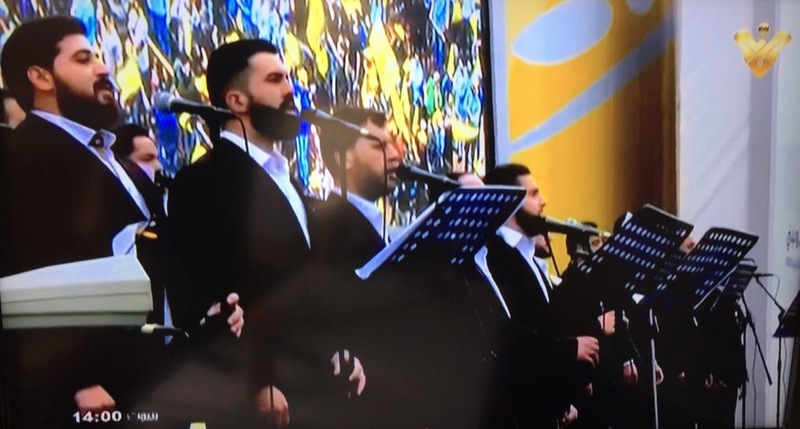 His sectarian identity is clearly displayed with a visible golden crucifix around his neck. There is no platform, no issues, no listening to citizens’ concerns, no patience and thoughtful contemplation. There is shouting and pushing, monopolizing the streets for the interest of a few, while the rest of the population is held up in traffic, at the mercy of these cults of personality and their intimidating ground operatives. 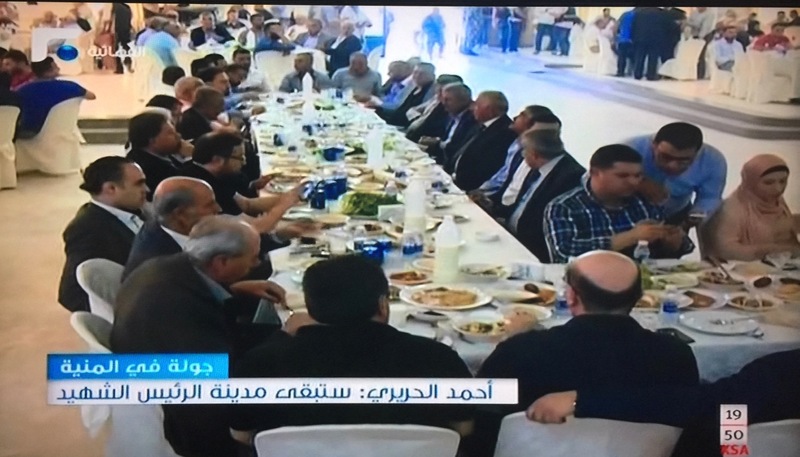 Meanwhile, Beirut Madinati continues to hold town hall meetings in an attempt to reach out to several neighborhoods. 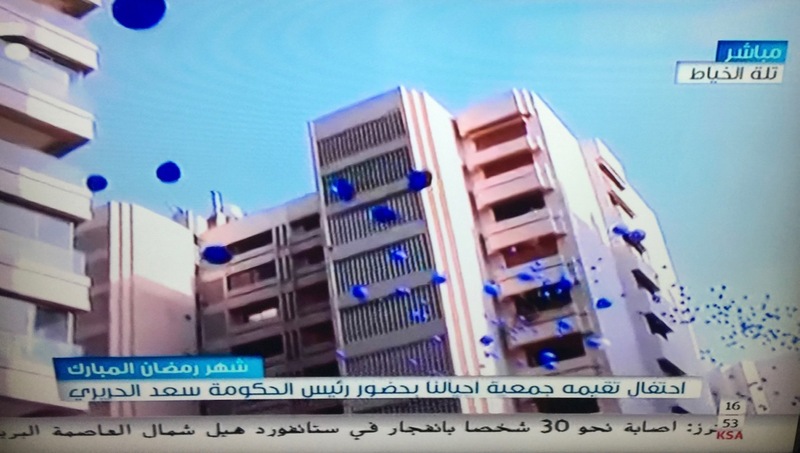 Last weekend they were in Kaskas, Horsh Beirut. 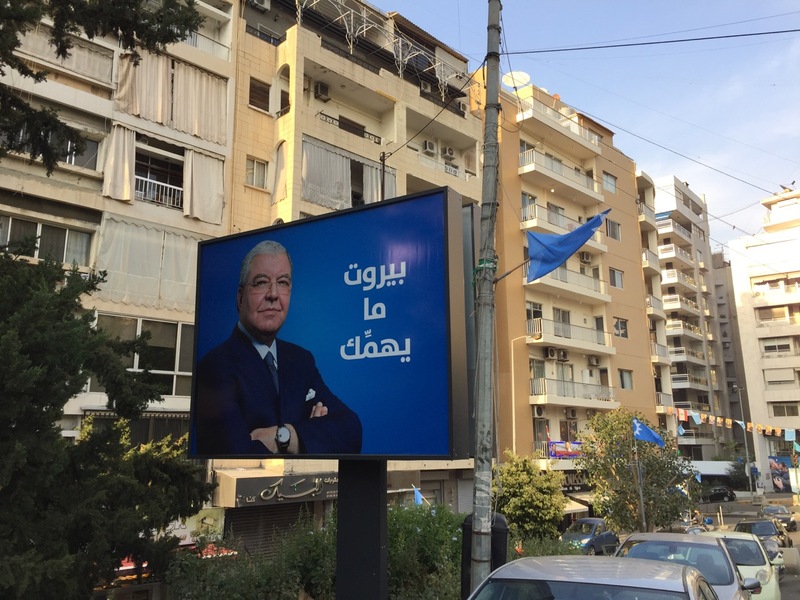 Hariri’s campaign is using the slogan “Campaign for the Beyerti” a colloquial term, which for many, connotes notable Beirut Sunni families, the “real” Beirutis. 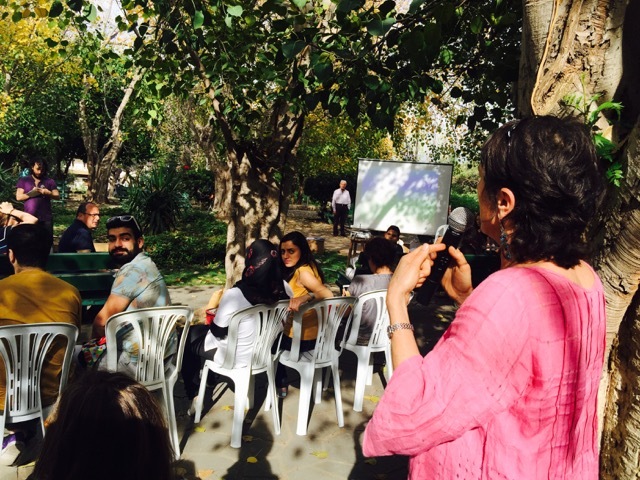 Many find the term exclusionary to the city’s hundreds of thousands of residents that settled in the capital over the last few decades, including Lebanese Shia and Maronites as well as Palestinians, Syrians and others. 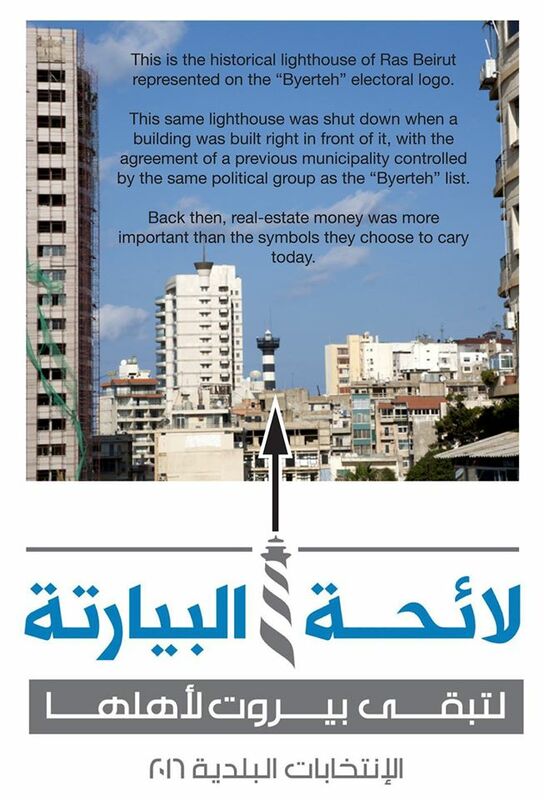 Many point out that Hariri’s claim of authenticity is ironic considering the fact that his family actually hails from the southern town of Saida, and rather than address the city’s needs, his family’s massive real estate interests have only helped commodify the capital, erasing public spaces to facilitate massive real estate deals for wealthy Gulf investors that have helped fund his father’s political career. 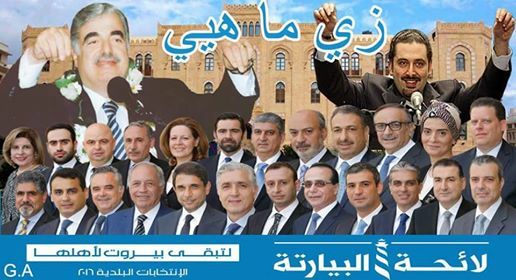 Beirut Madinati is not the only reform party. 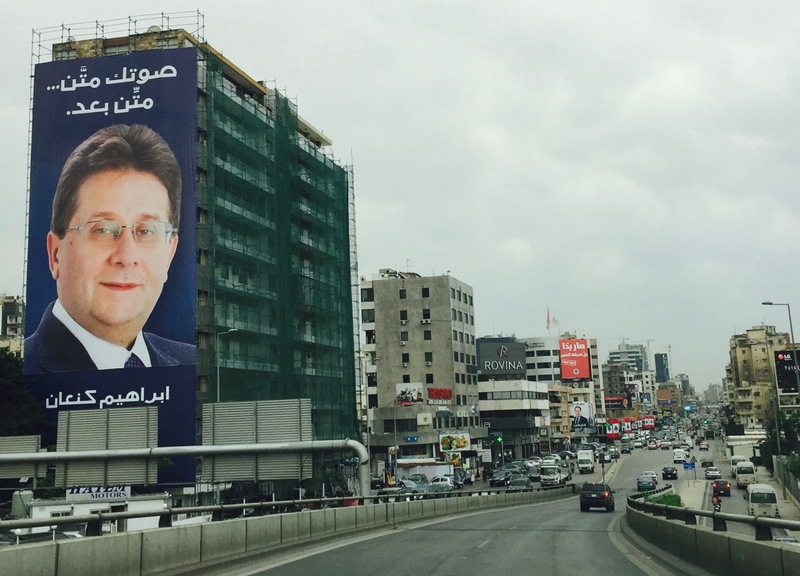 “Citizens Within A State”, headed by activist and ex-minister Charbel Nahas, is also proposing an issue-based platform and taking Beirut residents on free bus tours of corruption around the city. Still, it will be hard for such groups to compete with the power of well-established political machines and the grip they have over public services and utilities as well as the meager handouts they offer the poor in exchange for votes. 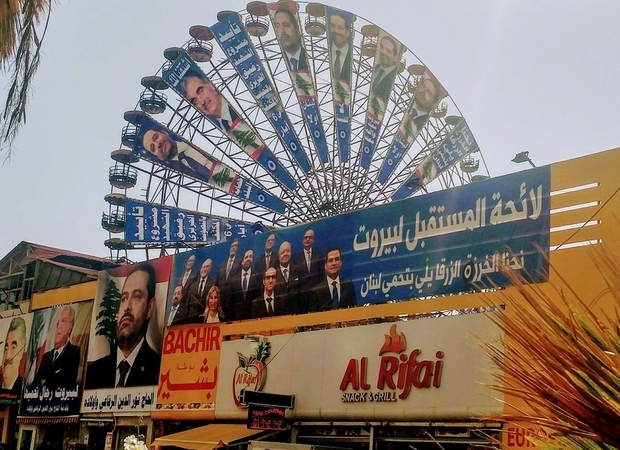 But whether or not they win, these new parties are introducing practices of Lebanese politics that differ significantly from their established rivals, offering a path toward change to build upon or at least the possibility of one.